The Central Resource Library opened in its present location in 1973. With almost 10,000 people visiting the library weekly, it is the biggest and the busiest library in the Windsor Public Library system. In recognition and appreciation of Windsor’s multicultural community, Windsor Public Library has materials in over 20 languages, which may be requested and obtained from any of the Windsor Public Library branches. Some of the services offered at the Central Branch include literacy tutoring, an expanded children’s collection and area, audio and large print books. The Library also has 16 adults, 5 kids and 2 express public computer stations. 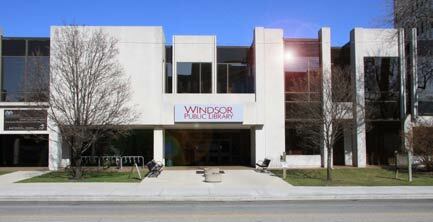 Windsor Public Library offers free Internet access, service to the homebound, career and employment information, community meeting space, current bestsellers and reference and research materials and services up to the university level. The Information Services Team, which handles all research and reference requests, the Collection Access Team, which manages the library’s circulating items and Administrative Offices are located at Central Library.